Are you trying to figure out how to reach Somaliland from Ethiopia? Shocked by the almost $600 USD Ethiopian Airlines ticket price? Dreading the difficult and dangerous road travel? Or are you nervous about getting back? Maybe ending up like the guy who had to become a Somaliland citizen in order to get an Ethiopian visa?! So what’s the solution to avoid the hefty ticket price or dangerous road travel? If you have miles on Ethiopian Airlines, it’s a pittance: 15,000 miles + $50 USD in taxes. For Star Alliance travelers it’s roughly 35,000 miles and + $60 USD for the round-trip ticket. Tickets can be booked online or at an Ethiopian Airlines office – we booked a day in advance of our travels without any issues. The most difficult part of this process is procuring a Somaliland visa. Step 1: Find the office and cross your fingers they’re open. It seems like their working hours are 9am-ish to 2pm-ish. Step 2: Make yourself comfortable on their glittery gold couches and fill out the 3-page visa form. Step 3: Enjoy a good book (or peruse through the Addis Eats blogs) on the gold couches or go out for coffee while they process the visa. This will most likely take at least an hour. Step 4: Pick up your visa! Make sure you receive the following pieces of paper. They’ll come in handy later. Money: The effective currency of Somaliland is USD. Bring tons of small bills: 10s, 5s and 1s are the most useful. Make sure the USD bills are in good condition (no rips, markings etc.) and that they are newer than 2006. 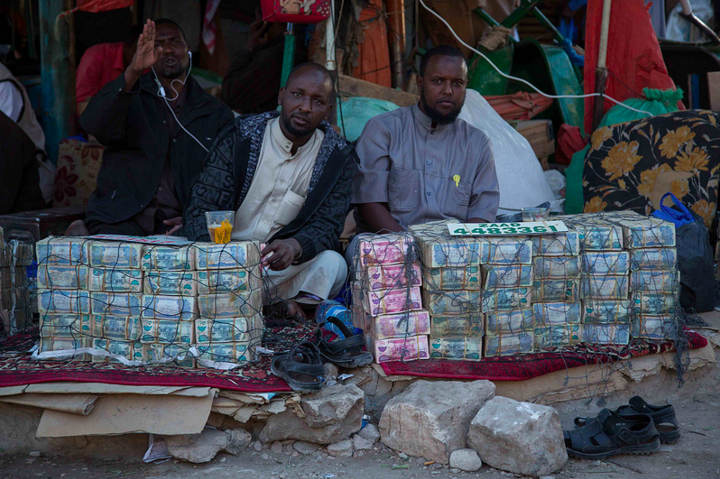 You can exchange USD for Somaliland shillings on the side of the road in Hargeisa, but the rate is about 6,000 to 1 so it can be hard to carry a ton of Somaliland shillings. Photo by Lukasz Semeniuk via Flickr. Women must be totally covered at all times. This means long pants, loose-fitting long sleeve shirts and a scarf for your head. It can be brutally hot in the summers (45 degrees Celsius/ 113 degrees Fahrenheit) so pack lightweight clothing. The male travelers of our group felt more comfortable in long pants than in shorts. It can get chilly in the evenings so pack a sweater. Bathing suit for Berbera beaches. Close toed shoes: it’s very dusty and sandy in Somaliland. Multi adapter: we saw a range of plugs from British to European. An external charger if you have one. Any medication you could potentially need. Sunscreen, ear plugs (think early morning call to prayer). Hand sanitizer: you eat with our hands and soap is not always available. Women: Pack a scarf in your carry-on and cover your head and hair before getting off the plane. Just after passing through customs, you’ll most likely be directed to a line where you are expected to pay some sort of fee. This is where you’ll need those papers you received from the embassy. You can skip this line and show the papers to the airport staff at the door. You can buy a SIM card in the airport after picking up your bags from the carousel. There are two carriers in Somaliland: Somtel and Telesom. We were persuaded by the ridiculously friendly Somtel salesmen who upon learning we were Americans claimed he looked just like Obama. The SIM card is free and we each added $10 USD of credit, which lasted us four full days of heavy Internet use. Here’s the kicker. We found out after leaving the airport that you can’t call a Telesom subscriber from a Somtel phone and the other way around. Most locals we met while traveling seemed to have Telesom so we’d suggest going with them. Apparently a taxi is $25 USD from the airport to town (although we paid only $10 going to the airport). This can definitely be bargained down. Note: unmarried couples aren’t allowed to share a room and can sometimes be required to show a marriage certificate, although no one ever asked us. Oriental Hotel: This is the oldest hotel in town (somewhere around 60 years) and has a really cool feel to it. It is definitely the main tourist hotel. Rooms are clean and cost $15 a night. Ambassador Hotel: This hotel is out of town and so we do not recommend it. It’s usually occupied with NGO workers, journalists etc.